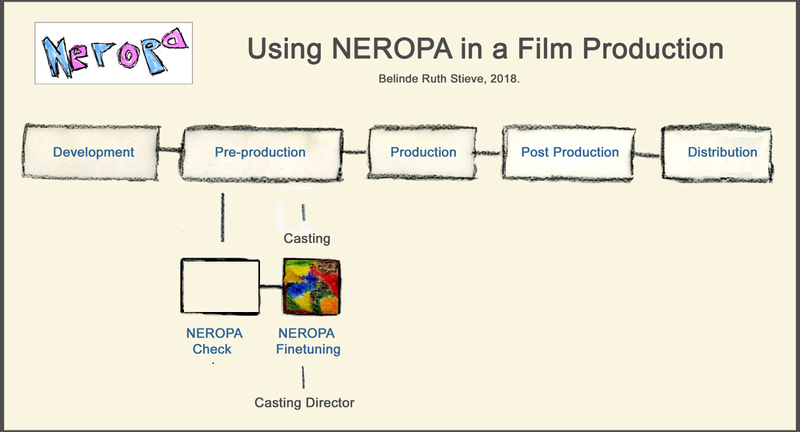 The first step, the actual NEROPA Check, will in most cases lead to a higher share of female characters in a film. After this, casting directors can diversify the cast further with specific proposals for actresses and actors and thus ensure visibility for underrepresented groups. In many cases they have been doing this for a long time. 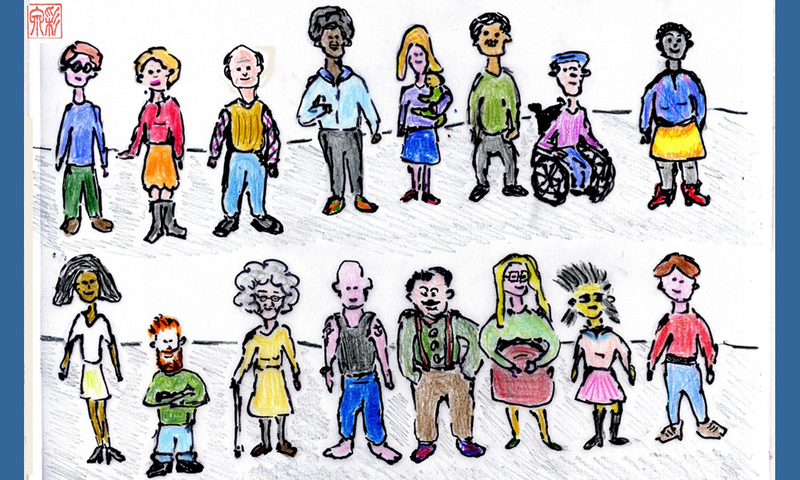 If the setting, the story and the characters permit, they can be as colourful and diverse as the world around us, as far as age, height, ethnicity, physical appearance, colour of skin, sexuality, (dis-)ability, accent / dialect and more go. Auxiliary question: Does this character have to be white, young, good-looking, flawless and slim? In Germany 25 % of the population are more than 65 years old. About 80,000 people are deaf, 150,000 are blind, 300 to 800,000 are black, 17 M have a migrant background,to name but a few examples. (How) Do they appear in fictional programmes? In Germany about 1,890 babies are born every day. 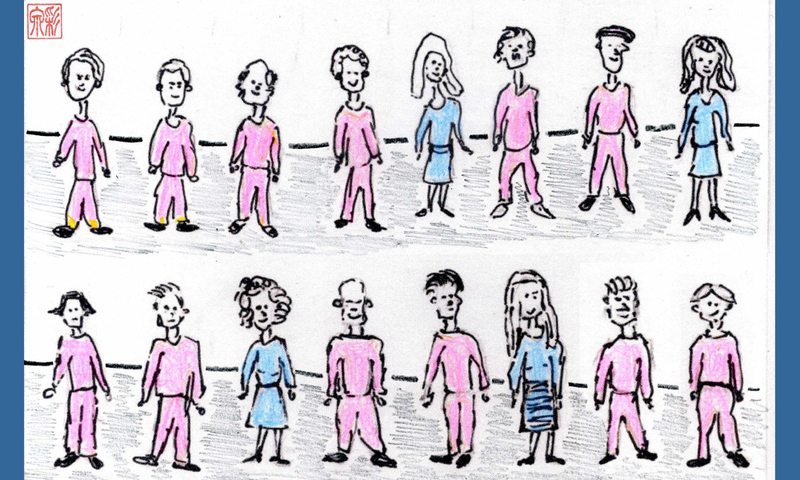 How often do we see pregnant women on TV who are not at the centre of the story? in the TV series LINE OF DUTY (series 3, episode 6) police officer Maneet (supporting role) comes to a meeting at the police station at night, and brings along her toddler, because she was unable to organize child care at short notice. Later (series 4, episode 3) she is expecting her second child. This is not an important part of the plot, she just happens to be pregnant. Other than that she is just a normal part of the investigation. in FOUR WEDDINGS AND A FUNERAL David, brother of lead Charles, is deaf. This was not an essential part of the story, but of course it brought additional colour and depth to the plot. in the TV seriesTHE NIGHT MANAGER agent the role of Leonard Burr was gender-switched to Angela Burr and actress Olivia Coleman was cast. She was pregnant at the time of filming, and her pregnancy was incorporrated into the plot. In the film KEINOHRHASEN (RABBIT WITHOUT EARS) Ludo meets Anna. In a flashback we see how he had teased her as a child. Ludo and Anna as children are played by Valentin (11) and Luna Schweiger (9), the grown-ups are played by Til Schweiger (43) and Nora Tschirner (26). 2 years age difference have grown to 17 years just like that. In the first two seasons of THE CROWN, Queen Elizabeth II is played by Claire Foy, her mother (Queen Mum) by Victoria Hamilton, who is only 13 years older. The actual age difference was nearly 26 years, – it is doubtful that the actresses look so far apart age-wise or that the Make-Up department managed to achieve this impression. There’s a type of film that illustrates the gender age gap regularly: class reunion films. 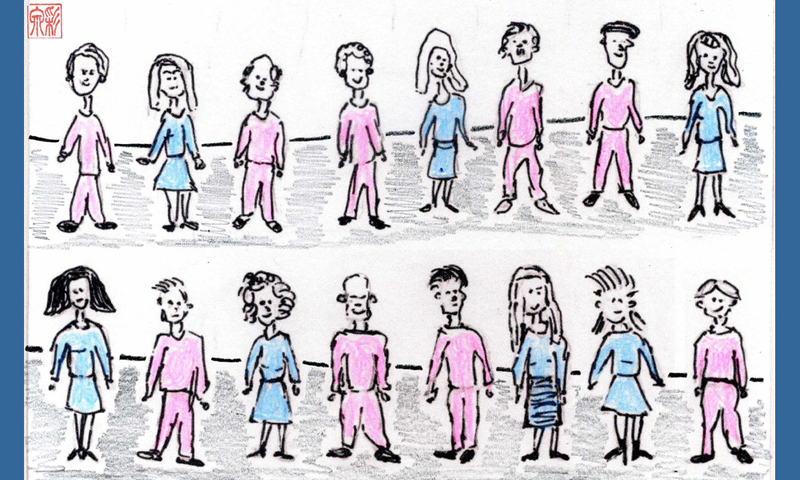 There very often the actors playing male former classmates are on average 2, 3 or even 5 years older than the actresses playing the female former classmates (see Cleverer Girls). Having increased the number of female characters through the NEROPA Check, the NEROPA Finetunng provides the opportunity to further diversify the cast.